Direct - Air Explorer Pro Version 2.5.0 Portable -=teamos=- | Team OS : Your Only Destination To Custom OS !! 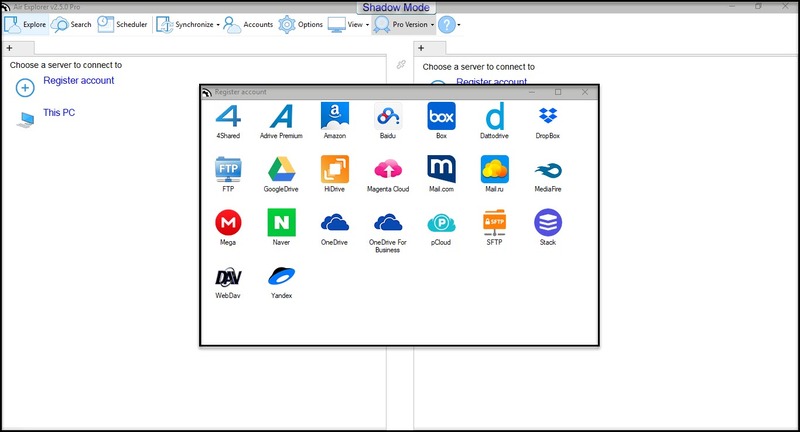 Air Explorer supports the best cloud servers: OneDrive, Google Drive, Amazon Cloud Drive, 4shared, Box, Dropbox, Mega, Copy, Mediafire, Yandex, Baidu, WebDAV, ****.com, Adrive, Magenta Cloud y FTP. Many people like to back up their most valuable documents on cloud servers, protected by a custom username and password. However, when a user wants to move or copy a file from one account to the other, a user need to first login to the first account, download the file to user PC, then login to the second one and upload it. 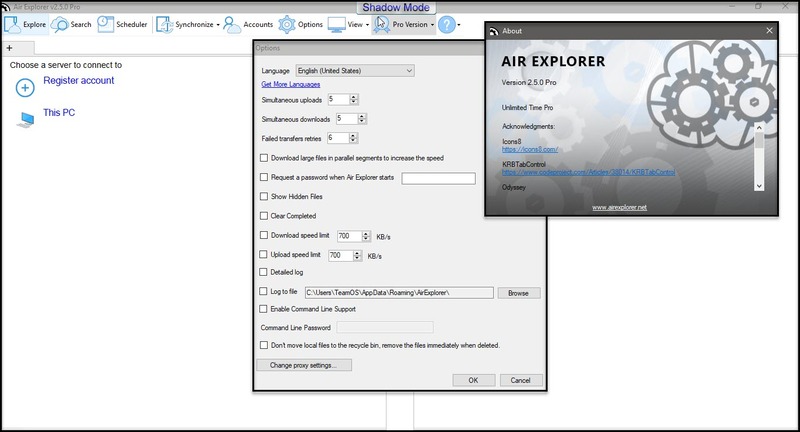 A user can simplify this task by using Air Explorer, an app that allows a user to browse through the personal data store on several cloud servers with ease. User can synchronize folders between any cloud or computer. Centralize search of own data across all the clouds. Drag'n drop files between own computer and the clouds. Contact us if you want to develop or suggest a cloud plugin. .NET Framework 3.5 ora later.